Business Protection is designed to protect businesses against the effects of losing one of their key people or one of the owners through death, critical illness or temporary disability. If you own/run a Business you will probably understand that the long-term success or failure will substantially depend upon the ability and value of your employees – however what are you doing to protect them? You will frequently protect your buildings and equipment. It's easy to calculate the financial implications and potential loss of profits from the damage or loss of these assets. But you will often overlook or ignore protecting the value of your employees. Loss of employees needs to be assessed and an appropriate Business Protection solution selected. Key Person Protection allows your business to protect itself against the financial loss it may suffer from losing a ‘Key' employee due to death, critical illness or disability. The loss of a Key Person may result in reduced sales, loss of profit/turnover, wasted time, recruitment costs, and the disruption of development plans or increased workloads for the remaining staff. Key Person Protection is Life Insurance or Life Insurance and Critical Illness Cover (if selected) written on the life of the Key Person however the policy is owned by the business so that any money due becomes payable to the employer. The business pays the monthly / annual premiums. This applies to both Limited Companies and Limited Liability Partnerships. With a partnership, the policy is written on an own life basis and may be placed in trust for the benefit of the other partners. If your business has an individual or individuals who are fundamental to its success, you should consider Key Person Protection. A Director/Shareholder Protection Policy provides funds upon the death – or critical illness – of a business partner or director, ensuring continuity of the business and providing security and protection for all. Without adequate funds or the proper agreements in place, a company may be unable to buy out a deceased partner’s share of the business, leaving any remaining dependants without an appropriate level of income replacement and the company with the risk of an inappropriate member of the deceased family taking control of their business interests. A lump sum would generally be needed to buy out their share and without adequate provisions, this could be costly both in terms of outlay and interest rates on urgent loan(s). If market conditions are unfavorable, these payments may have to be funded by liquidation of assets. 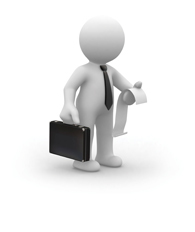 An important type of Business Protection Plan is Business Loan Protection. If you lose a Key Person who acted as a guarantee for all or part of your business loan, this type of insurance will pay off that portion of the loan in full provided you are insured for that amount. A Business Loan Protection Policy can cover death or critical illness of a named key person for a specified sum insured. If you don’t have this type of insurance in place you may struggle to repay the loan, especially if there is a reduction in sales due to the loss of the Key Person. This could cause severe financial problems for your company, which could put you out of business. Additionally, if you or another Key Person has given a personal guarantee for the loan, this may cause a problem for your respective families. If you die and repayments are missed, the debt could be taken from your estate resulting in hardship for your dependants. Business Loan Protection can avoid these situations and offers several advantages. Business Protection Insurance requests will be handled personally, by our Independent Financial Planner James Clancy, Partner of our Principle firm, Access Wealth Management. James has over 30 years experience of providing financial advice. As part of this service there may be the need to meet at some time. Whilst we will always arrange a mutually convenient meeting to discuss your requirements in detail, initial discussions can always be via email and the telephone.